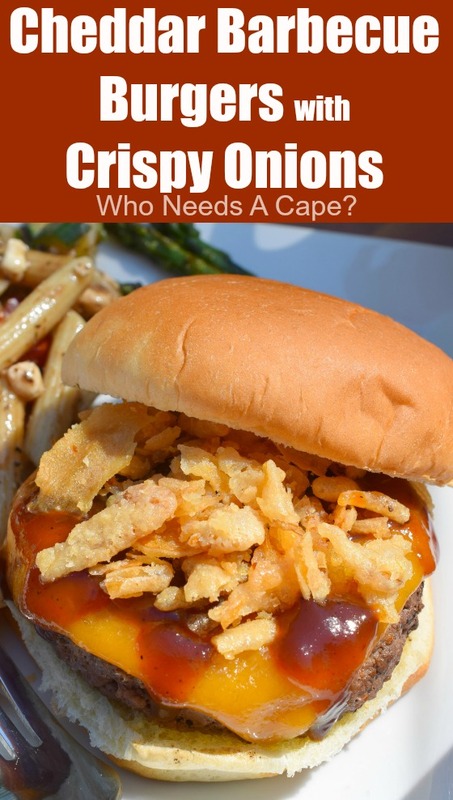 Cheddar Barbecue Burgers with Crispy Onions - Who Needs A Cape? 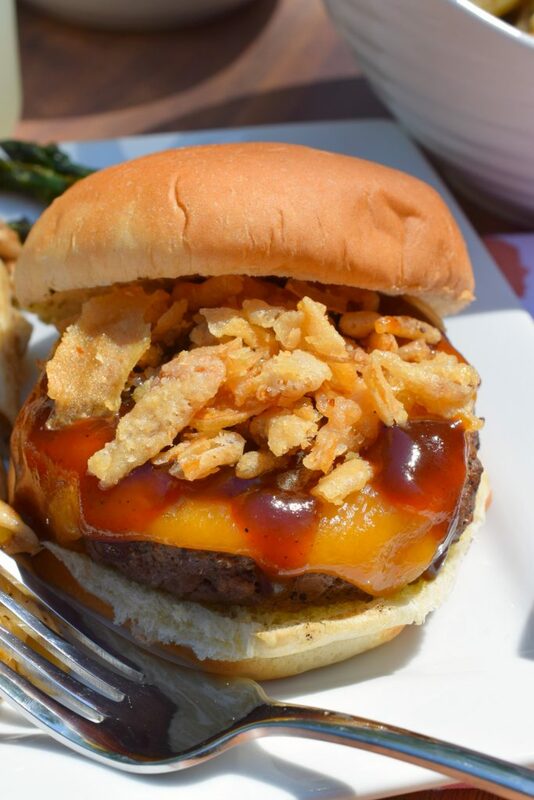 Fire up the BBQ grill and make some Cheddar Barbecue Burgers with Crispy Onions! An easy to prepare hamburger that is popping with delicious flavors. Summertime and grilled burgers, they go together so wonderfully! There’s just something comforting about the smell of the barbecue grill. The aroma of burgers sizzling that reminds you of all the great times of summers past, taking you all the way back to your childhood even. Carefree summers of running through the sprinkler, fireflies at dusk, watermelon juice dripping from your chin and grilled burgers fresh off the grill. In fact, as soon as the snow melts we are outside grilling. 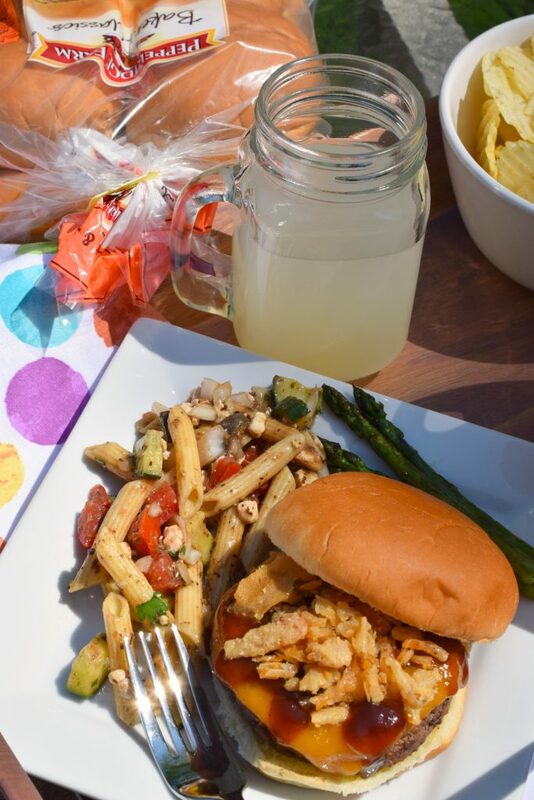 Whether it is just a casual family dinner, or we are hosting a larger party grilling burgers happens a lot around here. When we are traveling in our RV, we grill usually twice a day. 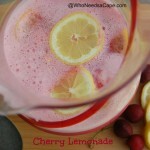 I have loads of recipes that are grill-worthy. 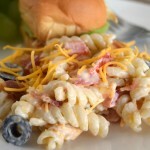 Today I’m happy to share with you an easy recipe that will have you firing up the grill at your house and enjoying a wonderfully tasty yet easy burger. 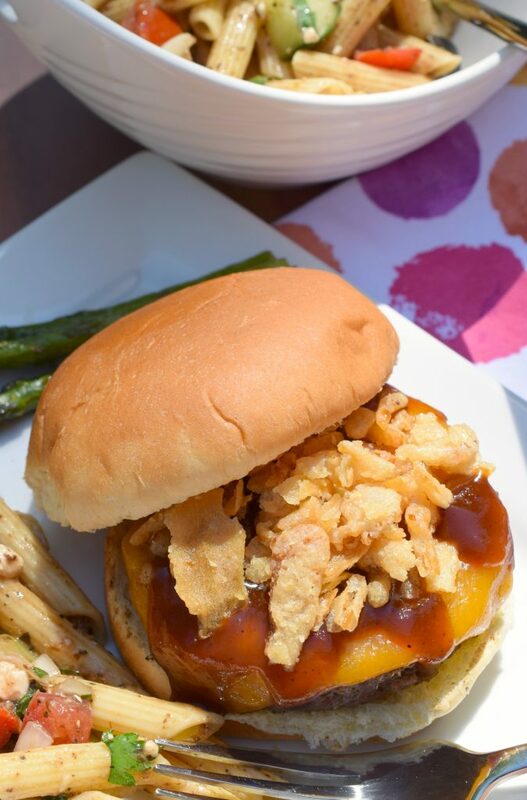 Cheddar Barbecue Burgers with Crispy Onions are my make at home, copycat version of a restaurant burger that my husband and I enjoy when dining out. Served at a chain restaurant, we enjoy the flavors of this burger but not the price…yikes! I thought, “why not recreate this at home”? 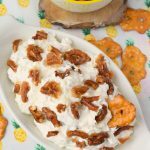 And here we have it, a copycat version that we can easily make at home with cheddar cheese, barbecue sauce, and crispy onion pieces. There’s one thing that I have to have on my burger and that’s a good quality, great tasting bun. 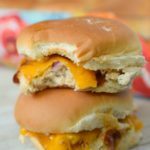 That’s why I purchase Pepperidge Farm® Bakery Classics Hamburger buns (hot dog buns too). You’ve gotta Respect the Bun®, it is the crown jewel adoring a delicious burger. Available in a wide variety of flavors, you’ll find the perfect bun for everyone. 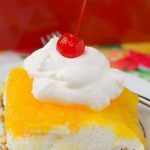 I’m sure Pepperidge Farm® Bakery Classics will become a new favorite in your house too. With premium ingredients, perfectly orchestrated with a baker’s touch. 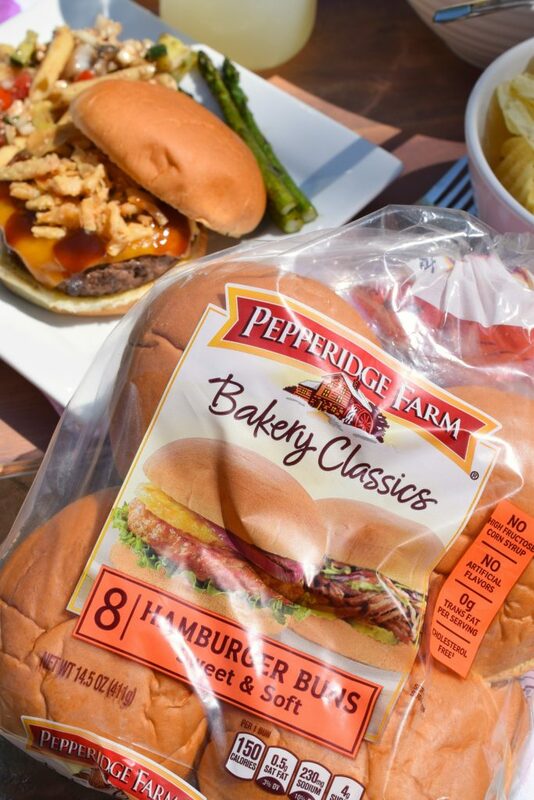 If your burger deserves a bun baked with pride, you’ll find just that with Pepperidge Farm® Bakery Classics. Now that I’ve tempted you with this amazing burger, be sure to comment below and let me know what you love on your burger. Happy grilling!!! Visit RespectTheBun.com to find more grilling inspiration and learn how you can enter to win $ for sharing how you Respect the Bun®! Top grilled burger with sliced cheddar cheese. 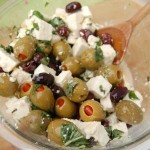 Add barbecue sauce and crispy onions. Place on Pepperidge Farm Bakery Classics Hamburger Bun.